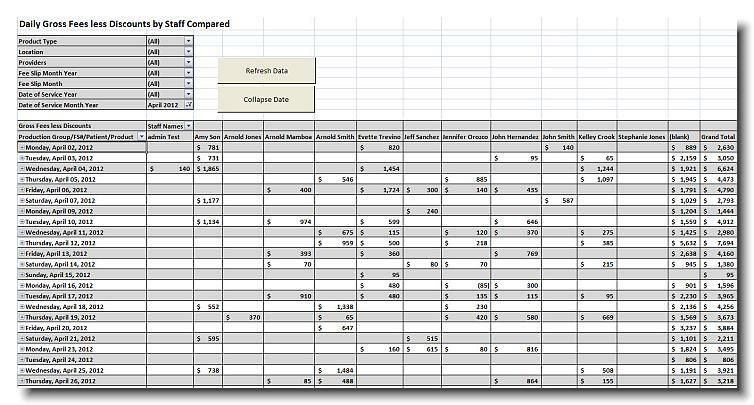 Have you ever wondered what an actual day's sales and collections looked like without the collections and adjustments from prior days being reflected on the reports? 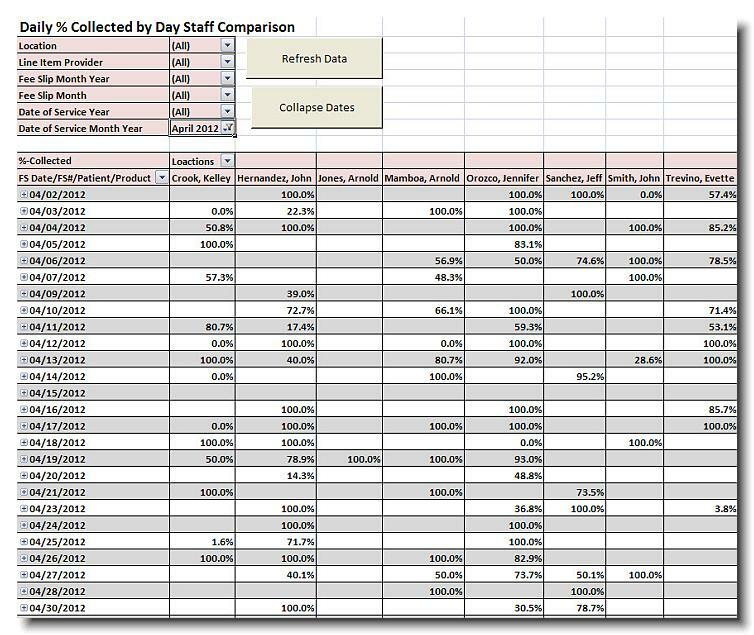 Do you want a true picture of daily sales and daily collections related to the date of service, regardless of when the fee slips were recorded? Are you curious what % of patient amounts due the staff is collecting? 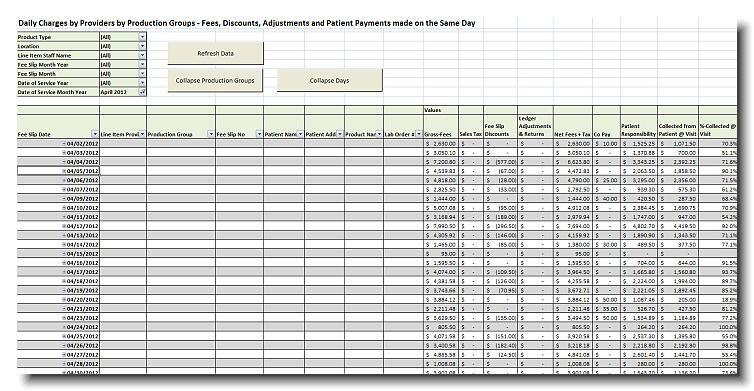 Are you curious how each day's sales compares to other days pure fee slip sales? If you answered yes to any of the questions, you should use this report. 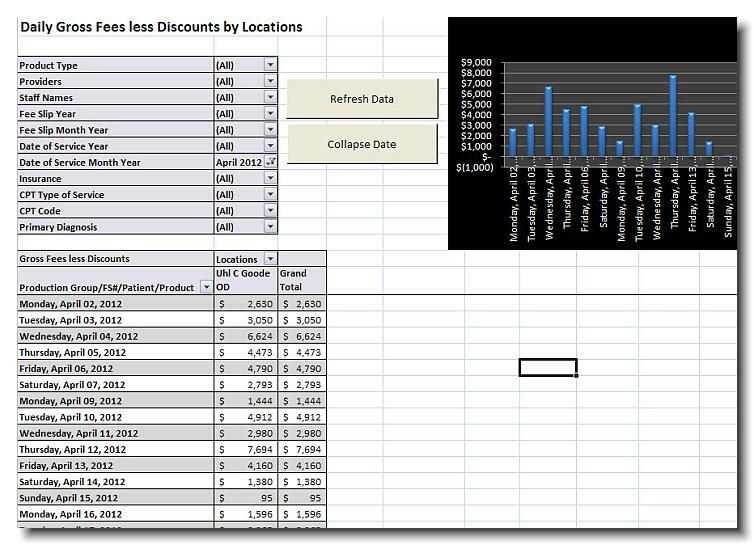 For more information on how this report can show your daily sales and payments, watch our 4 minute video! 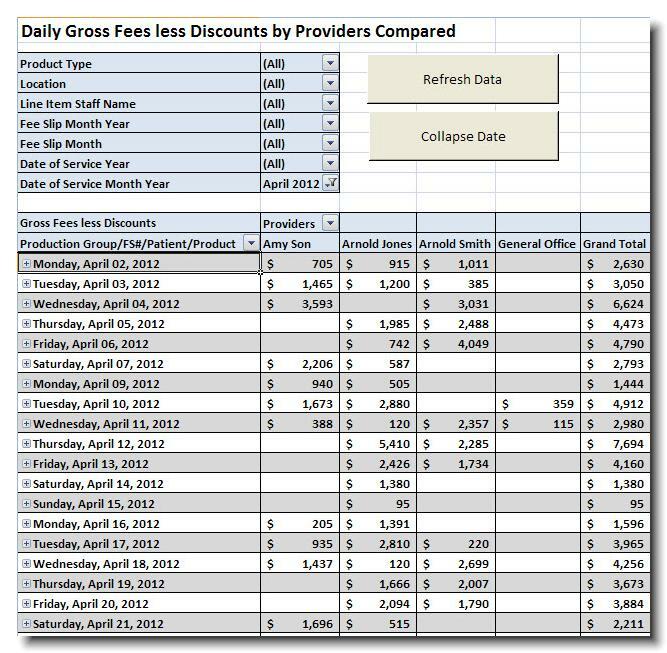 This report shows by day or the period selected, the Gross Fees and Discounts and Adjustments made on the same day against the same fee slip. 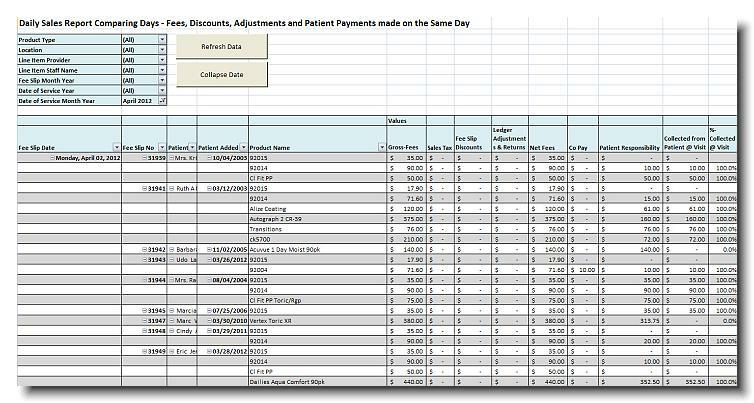 It is a true reflection of the day's results for patient sales and fees collected. No collections or adjustments for other day's activities are reflected on this report. 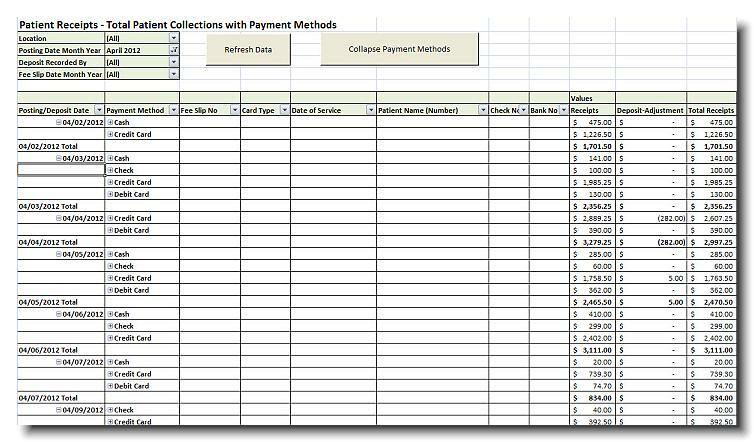 Broken out by Payment Method, this report lists the collections made against the fee slips recorded for the same period, or on the same day. No advance payments or payments against receivables are reflected in this report. It is a true reflection of fee slip collections made for fee slips recorded.